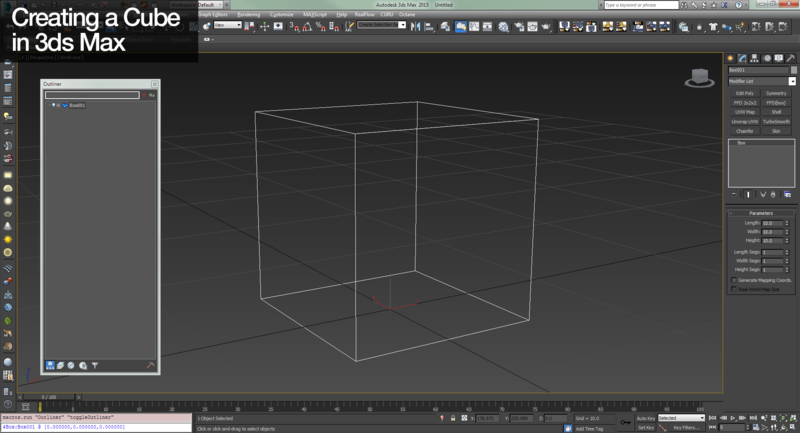 Learning Houdini for Project DQ! 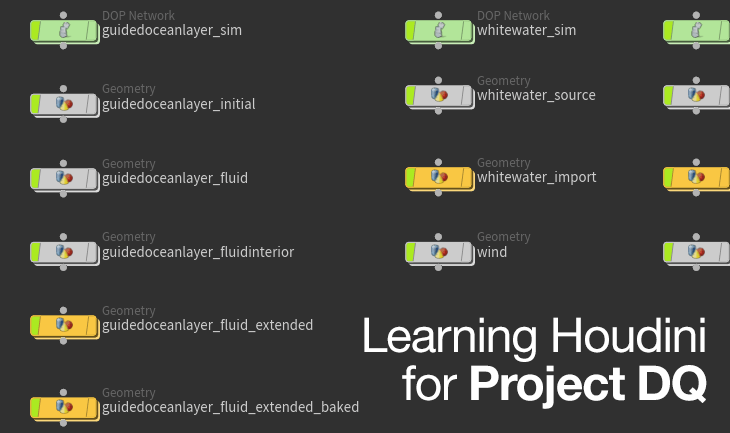 In this post, I’ll be covering the overall goal of Project DQ that is as a learning platform for using Houdini for all FX tasks. As the demand of Houdini skills for FX shots risen for the past several years, I realise it is time to pick it up or get left behind. While I do not have exposure to Houdini in actual production at my prior workplace, I tried to adapt what I’ve learn in Maya, 3ds Max and RealFlow into Houdini… should be a frictionless learning curve right? 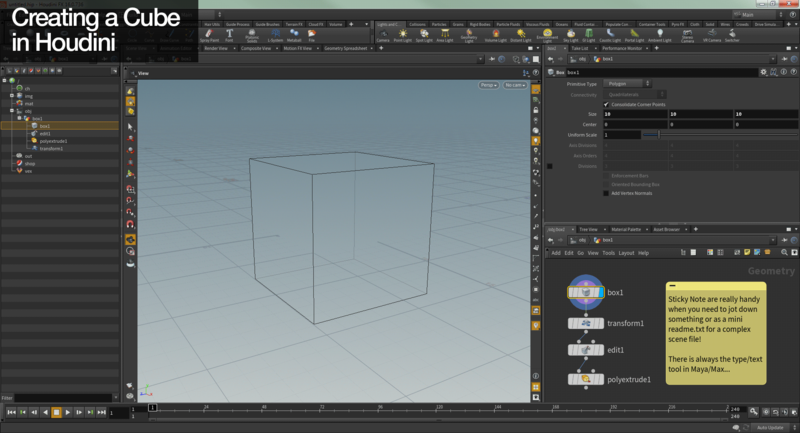 3ds Max 5 Screenshot. Not my screenshot but look at that glorious Windows XP theme… and ICQ, Photoshop 7, Outlook Express, IE6 etc running in the background. Back in 2003, I started playing around with 3ds Max 5 as my very first 3D Digital Content Creation (DCC) to create prefabs for Max Payne 2 mods (that didn’t really see the light of the internet–). 3ds Max became my main 3D package (excluding my short lived period with ZBrush and Sketchup) until 2011 where I need to use Maya 2012 for university’s assignment… which took me longer to accomplish something than what I can do in Max. 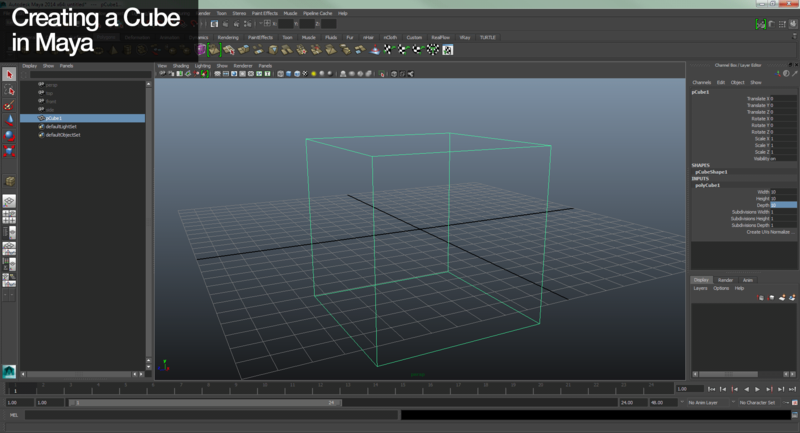 So there goes my half-hearted attempt in learning Maya and ended up using Max for majority of my assignments including final year project… at least creating a cube is straightforward in both software. Well that all changes when I start working at my ex-workplace where Maya is the main DCC for majority of the work. I remember spending more time asking my colleagues, referring to the docs and googling for solution on navigating Maya UI for the first two months! That was really not a productive moment for me but as I become accustomed to Maya workflow, I can see why it is the still the primary backbone DCC for most studios. Still I’m more of a Max person but I recognise the strength of Maya and the transition is not that bad actually since it is quite similar in both the UI and UX! Now back on topic, what about Houdini? Hmm looks familiar but different. 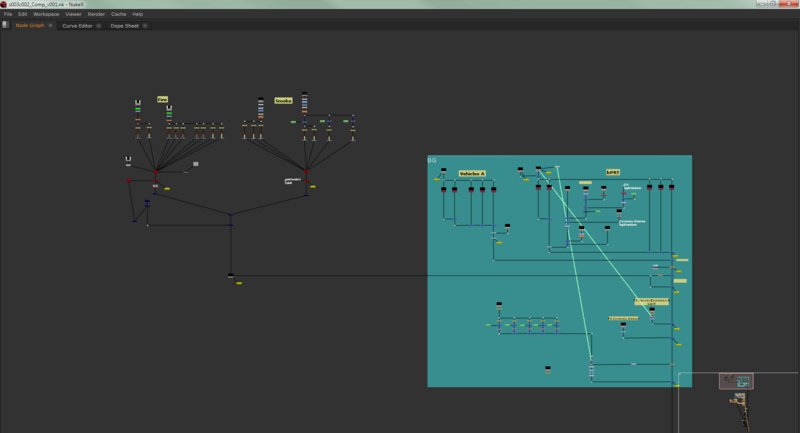 The initial “culture shock” for me when using Houdini for the first time is the concept of navigating the networks. 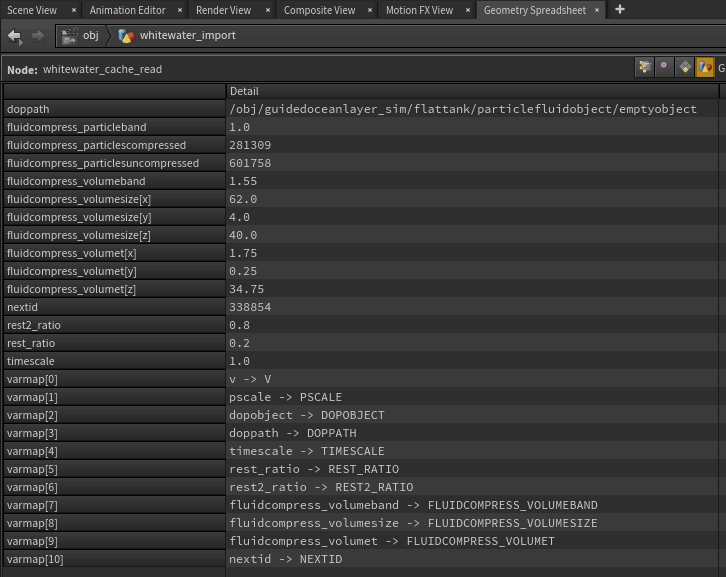 As you can see in the screenshot above for both Nuke and RealFlow, majority of the nodes are layout as it (with the few exception like Gizmo, Group and Precomp in Nuke). 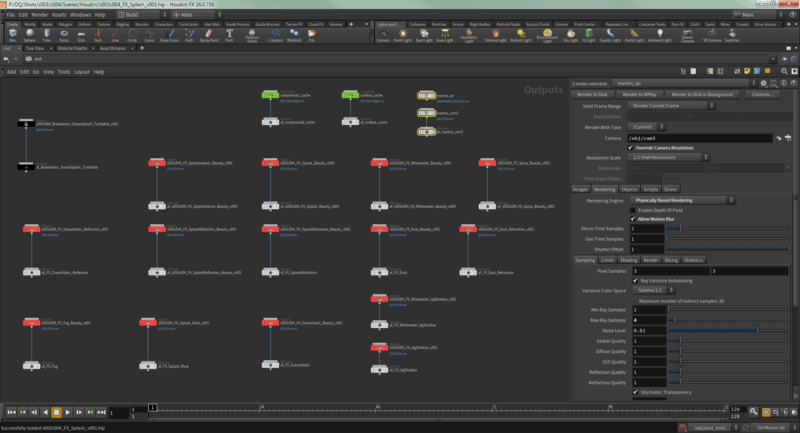 Now let’s take a look at Houdini 16 Network Editor (there are minor changes in the UI for older version). Just remember that there are nodes that can be created at any networks while some are restricted to specific level. Contrast this with… 3ds Max and Maya. You don’t get to see what’s going on as most of the operations are hidden from you and with that in mind, destructive while it is near non-destructive in Houdini. Note the “near non-destructive” instead of “non-destructive” as not everything are fully revertible unless you progressively version your scene file! 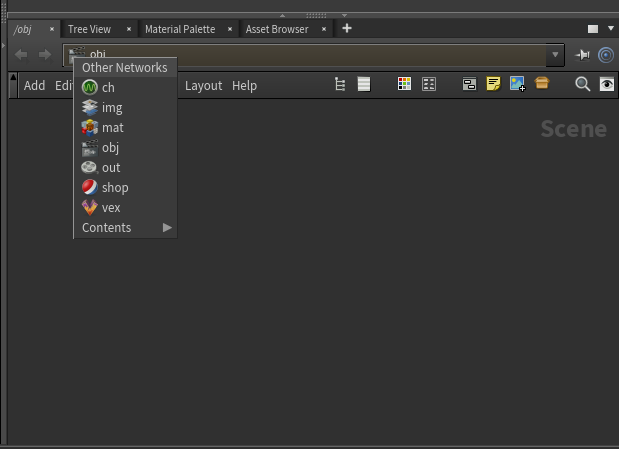 Maya do have a similar feature like the Network Editor aka Node Editor, Hypergraph and Hypershade although each has their own specific UI and not unified like Houdini’s Network Editor. 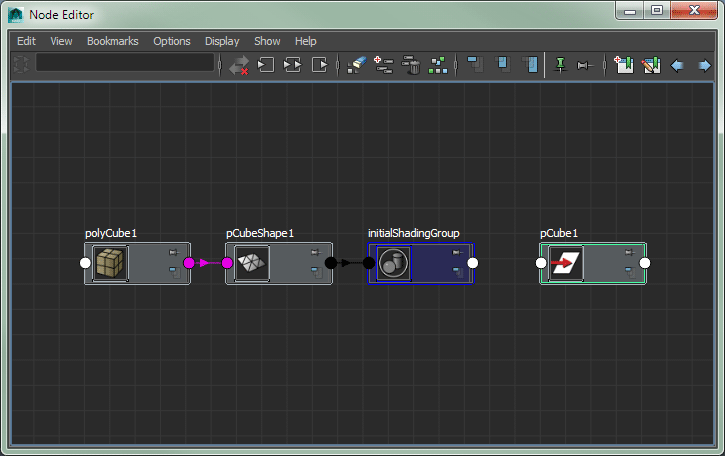 The nearest equivalent for 3ds Max is the Slate Material Editor and Particle Flow although there is the new Max Creation Graph introduced in Max 2016 onwards that has a similar layout like VOP. 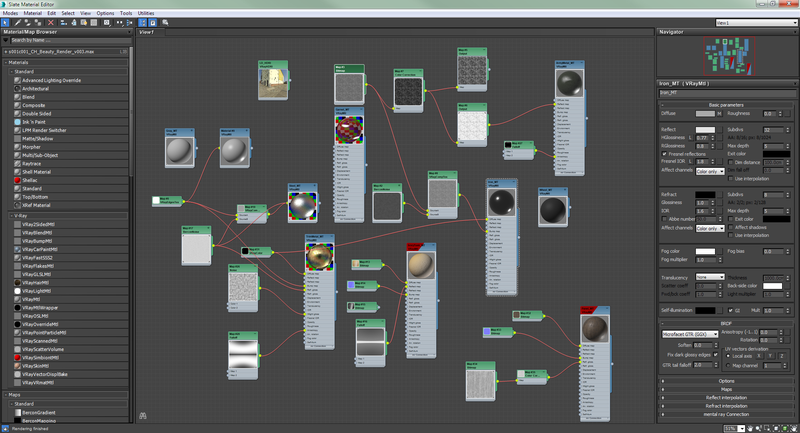 Variables and Relationships is the Spice of Houdini Life! 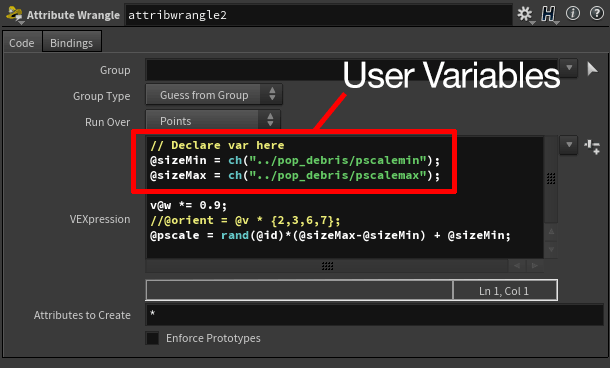 3ds Max and Maya users might recognise some of the variables’ naming and usage but in reality, rarely use it in their daily works as majority of the tools are already written to use such variables without any inputs by the artists (unless you’re writing scripts). 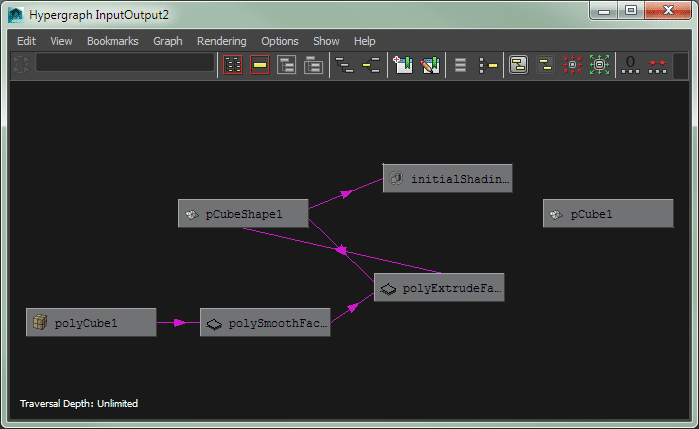 In Houdini, you can easily manipulate a parameter using both variables and relationships! Relationships are super useful if you need to reference any valid parameters! 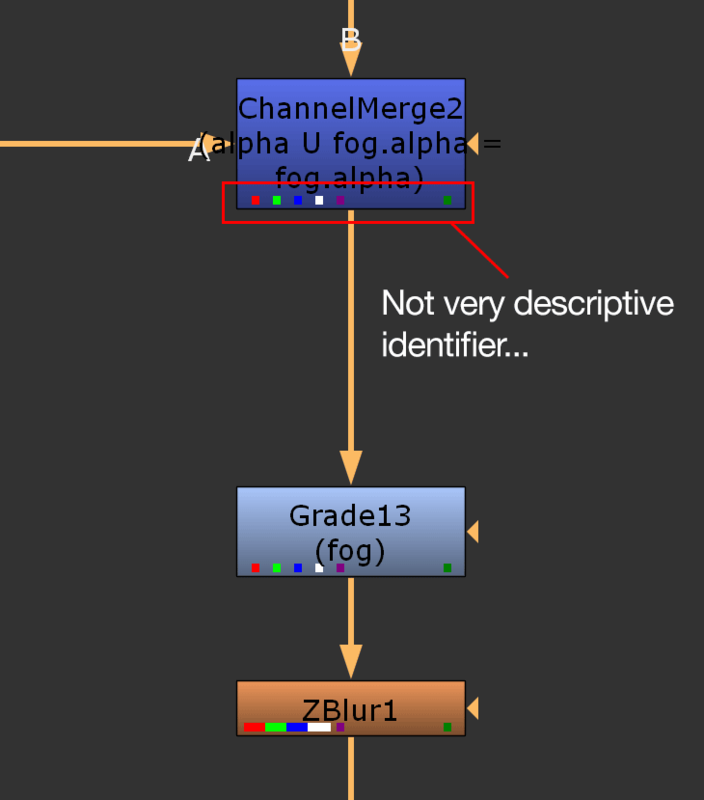 The following screenshot shows the relationships of the different parameters through expression. 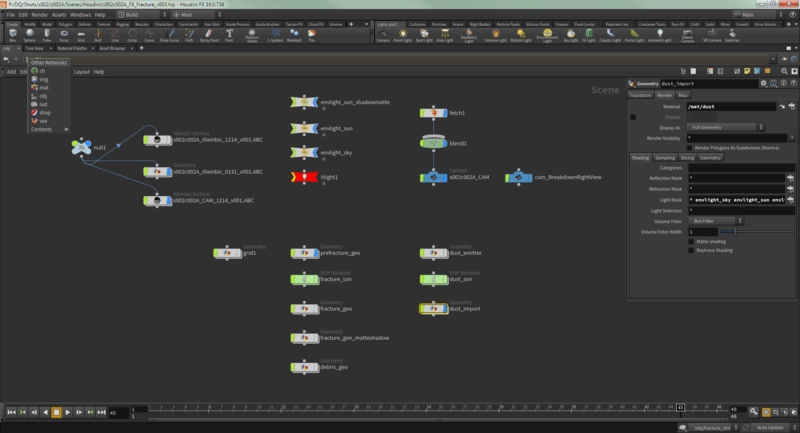 The same are not easily replicated in Max… although Maya does have similar feature albeit limited. This is something I wish Nuke has so you can just middle-click (the default Houdini shortcut) on a node and identify the channels/layers on a particular downstream. Houdini is something like your best buddy that are transparent to you on what they are holding (if they are not your slave labour-). Unlike a certain kleptomaniac ex-leader, being informed of the data that are being processed is very helpful and a must have in a node-based workflow. 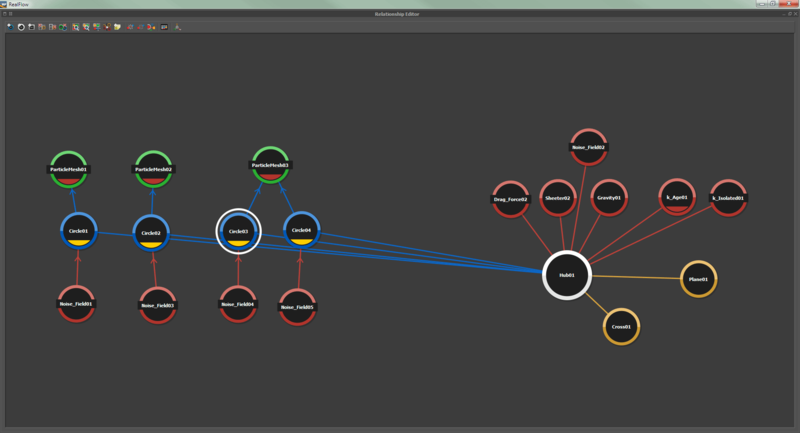 At least Nuke does let you know what’s going in a node stream through a subtle colour label on the nodes. You can view Points, Vertices, Primitives and Detail attributes using the Geometry Spreadsheet. 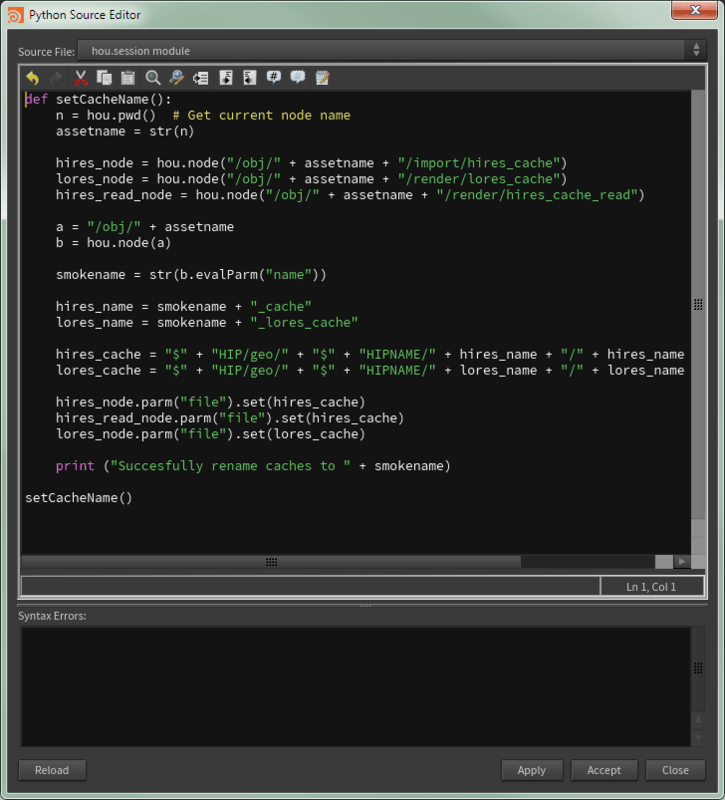 Shown here is the Detail attributes of the Whitewater sim cache. Enter the Geometry Spreadsheet is a handy feature that display the values for the various attributes (points, vertices, primitives and detail) of a specific node. While it is not possible to write formulas/expressions ala traditional spreadsheet software like Excel, you can directly edit the value of the attributes (that are valid of course). 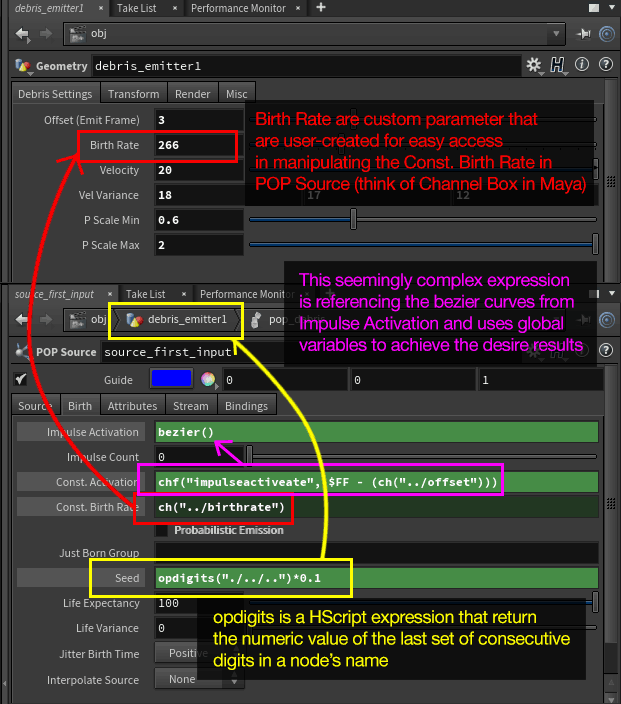 Max/Maya users? You either write your own scripts to identify the data belonging to an object or use third party solutions as far as I know. Bridgekeeper: WHAT is the airspeed velocity of an unladen swallow? King Arthur: What do you mean? African or European swallow? Back on topic, Houdini has great Python integration and that means if you have silly or crazy ideas, you can write you own Python scripts to boost your productivity! 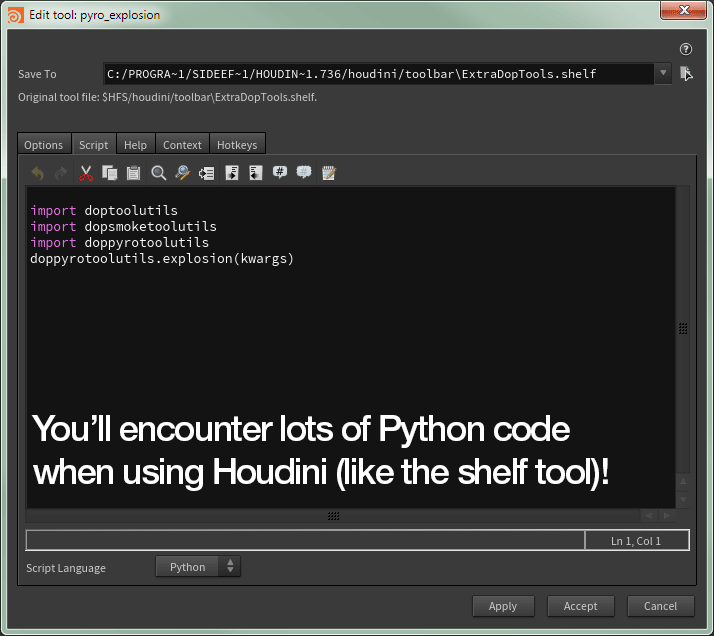 Even the Shelf tools are secretly a handy one/two clicks Python script. If you don’t know Python, you can easily torment learn it or harass ask politely for help from someone that knows Python! Well you might wonder why I don’t simply save the scene file as a text file (think Maya ASCII format) and do the search and replace in a text editor? Consider the possible situation where I might accidentally replace an innocent word/number that I didn’t intended and screw up the whole work? Not to forget that Python allows you to write multiple conditions that when couple together with the built-in Python functions in Houdini, it can be really powerful! 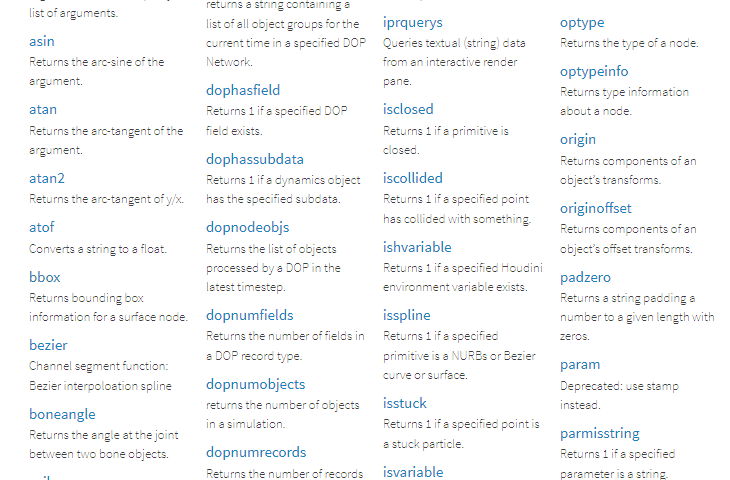 Basically prepare to dig through the Python docs for Houdini to get the desire functions that you need to use! Or ask the friendly community over at the official Houdini forum or Odforce! Just be prepared for the lack of responses if your question sounds like a FAQ or at the very least, attach an example file/video/pics/GIF for others to inspect. Mantra is easily one of the best built-in renderer in a 3D package although the latest Maya and Max has Arnold Renderer bundled together (although Arnold are also available for Houdini). Presumably you can manage multiple renderers available for Houdini like Renderman, Redshift, and Arnold without switching to other renderer first like in Maya/Max. This is very useful in scenario where you need to output render elements with different renderers depending on the project requirements. …I can’t think of an equivalent for Maya/Max. 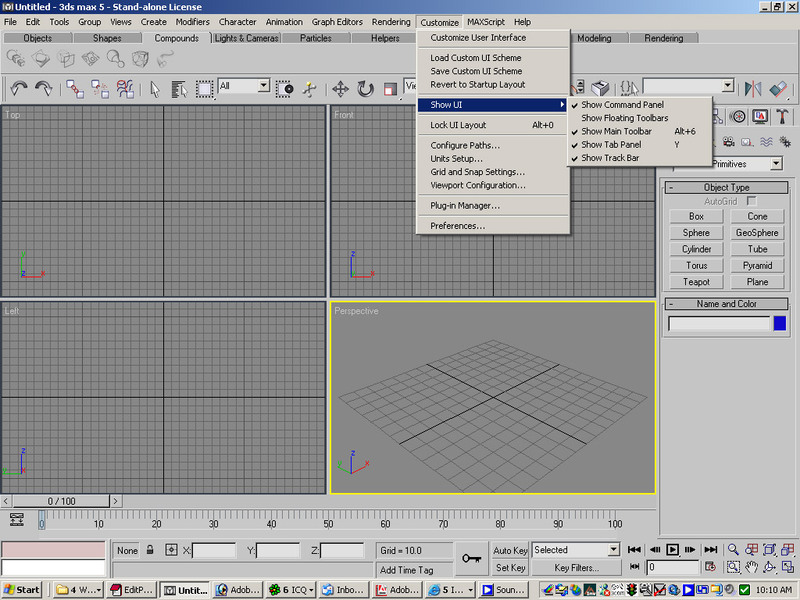 There is Render Layer Editor in Maya (which has been replaced with Render Setup from Maya 2017 onwards) which act like Photoshop Group Layers as you add objects onto a layer with optional render overrides but still at the mercy of the current renderer while for Max… I don’t think there is anyway to achieve similar functionality natively. 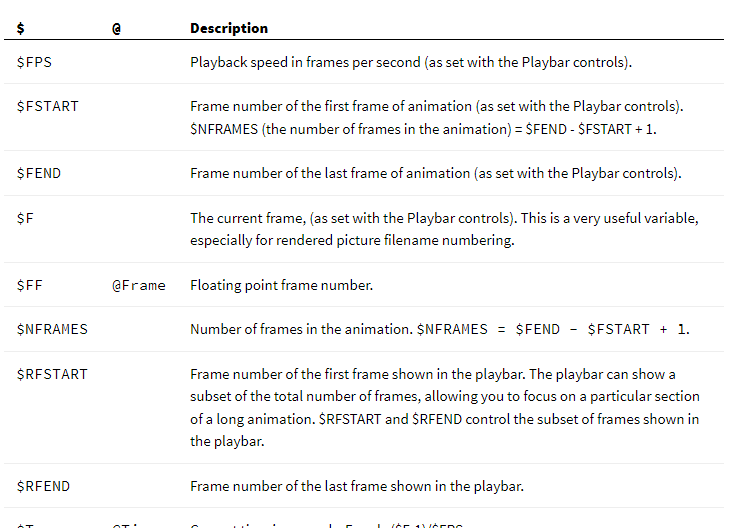 The Scene States in Max doesn’t really work for me (simply due to the not user-friendly interface) and it is better to save several different Max scene files that can be Xref when outputting render elements for compositing. Actually Mantra has a lot of parameters to fool around! Not every settings are shown in this GIF. While my only production experience are Vray (both in Max and Maya), Mantra has similar workflow so the learning curve is not that steep. 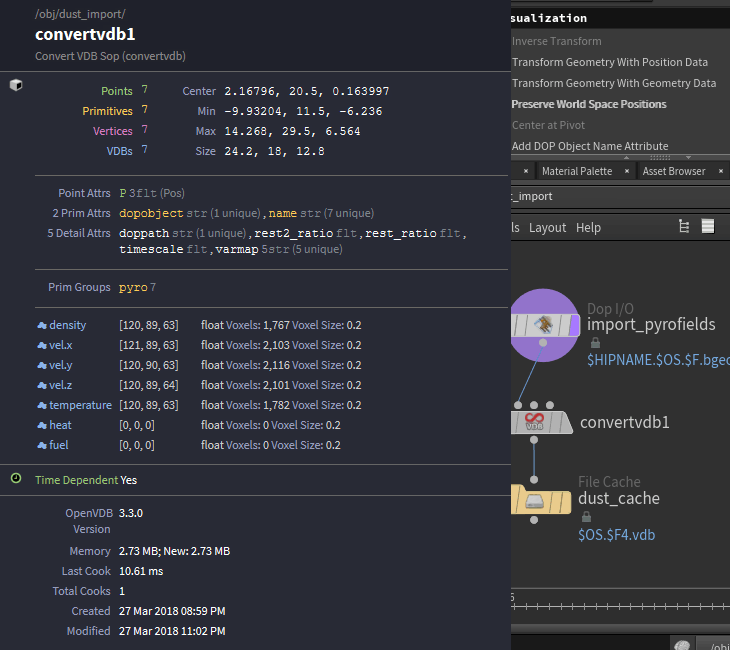 The overall render quality settings are similar to Arnold unlike Vray. Generally I find this approach to be more accessible when you have less parameters to play around to achieve the final look. So far I’ve yet to render scenes that requires large amount of geometry/textures/particles/etc so I can’t say about the overall performance of Mantra against other renderers but I can vouch that it is very stable and rarely crashes on me (excluding some silly setup that chokes Mantra while I’m exploring Houdini…). 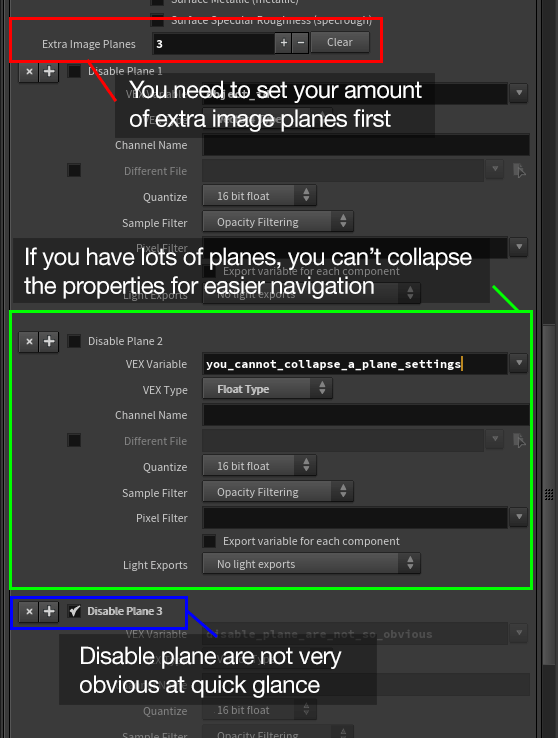 I’ll have to say though that the Extra Image Planes setups are not user-friendly unlike in Maya/Max. There are many times where I accidentally included or excluded passes because the checkbox are not that obvious due to the UI design. Probably I need to write a custom Python panel to simply the process. Not the type of wizard I’m referring to. If only using high-end 3D software are as easy as using a software wizard! Again, my only experience with Houdini is mainly replicating what I’ve known in other 3D package and I’ve yet to scratch the surface of what it truly can do! While I’m not trying to paint a rosy picture on using Houdini, there is still area where I wish it is more accessible (like modelling and shaders creation). To wrap things up, Houdini is already becoming a must-have skill for any FX artists in the VFX and gaming industry. As someone who never have any actual production experience with Houdini and managed to pick it up (after destroying thousands if not millions of neurons) to generate FX works that I previously do in other 3D package, remember that there is no harm in learning a new skill to broaden your skill sets!